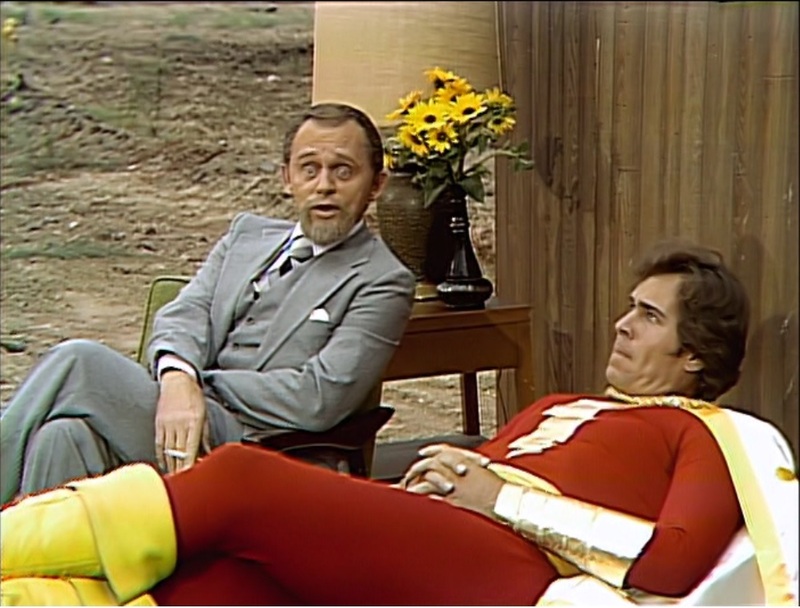 Well, speaking of Gary Owens, Adam West, Burt Ward, and Frank Gorshin, one day in the winter of 1979, the worst thing in the universe aired. Well, one of them. Hanna-Barbera sold NBC on a pair of variety specials using many of the same DC Comics superheroes that they were using on their Saturday morning cartoon Super Friends, despite the fact that Superman and Wonder Woman’s live-action TV rights were not available. 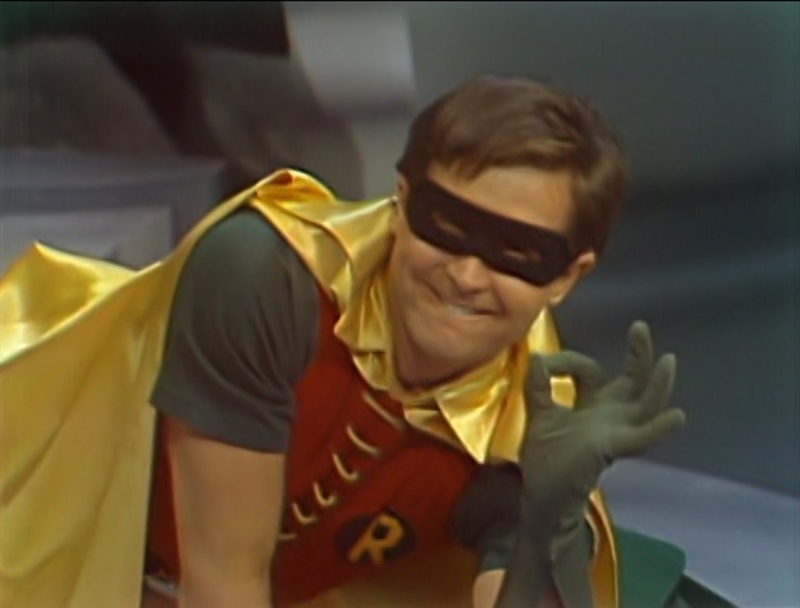 In his autobiography, Adam West later said that he deeply regretted the experience, but he needed the money. I’m not sure what Ward thought. Frank Gorshin came back as the Riddler for a week, one in a group of seven villains played, in the main, by Vegas-style standup comics. Among them: Jeff Altman as the Weather Wizard. The following year, Altman would appear as the co-host of Sid & Marty Krofft’s equally awful and notorious Pink Lady. Nobody else has that kind of track record. As the heroes: a bunch of models and stuntmen. Neither of the actors who played Captain Marvel for Filmation and CBS were involved; a guy named Garrett Craig with three other parts listed in IMDB appeared in their place. He at least looked the part. Instead of Batgirl, Barbara Joyce appeared as the somewhat similar character Huntress, who had debuted in the comics a little over a year previously. Joyce was given exactly zero lines in episode one, which tells you where this show’s brain is. Gary Owens is the narrator, because anybody else tapped for the job would sound like a poor imitation of Owens. The “plot” involves the villains starting a doomsday device, challenging the heroes to find it, and then disguising themselves as gas station attendants, gypsies, psychiatrists, kids with lemonade stands, and used car salesmen to delay them. Since the heroes are, to a man (or, in deference to the ladies, to a person), complete morons, they fall for these traps. It’s a huge missed opportunity. I’m not such a stick in the mud that I object to superheroes being made to look stupid, but the script has about two dozen things that sounded like they were meant to be jokes and not one of them is actually at all funny. It has a reputation of being terrible, terrible television and it deserves it. It’s boring. That’s one way of looking at it. What actually happened in the winter of 1979 might have been the best thing ever. I was seven when it aired and I freaking loved it to pieces. Daniel is now five and he loved it every bit as much as I did. One day, of course, he might have the chance to look at this with adult eyes and then he will cringe. Let’s not worry about that. He looked at the events with curiosity until Solomon Grundy threw a boulder at the Riddler, and then he chuckled. Then Sinestro blasted a hole in Riddler’s clipboard and he howled, and he didn’t stop howling for forty-seven minutes. Every dumb joke landed with expert precision and every slapstick foible ricocheted around the room. Every bonehead disguise and wacky accent employed by the villains had him grinning ear-to-ear. When Batman and Robin chased after Mordru on jet skis, he flipped. 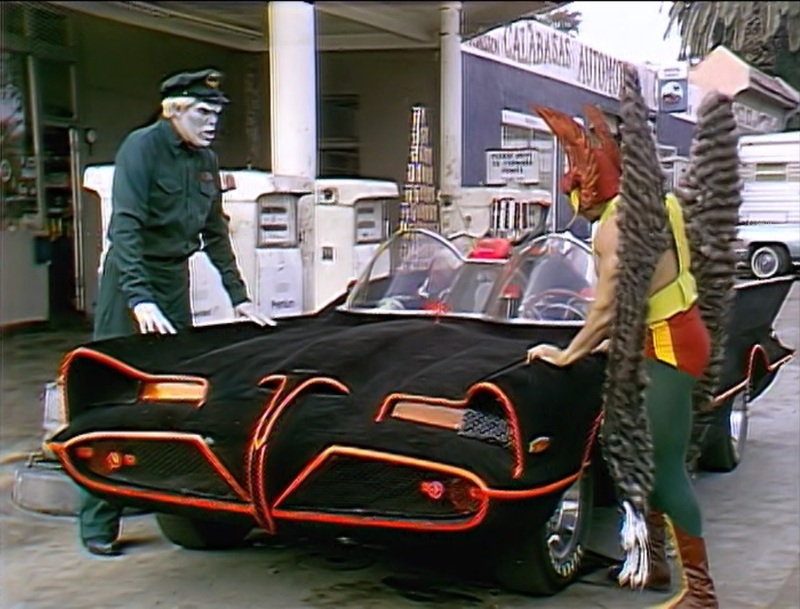 That was far more exciting to him than any chase on the original Batman. I first saw this silly thing at my grandfather’s house in Fort Payne, Alabama. We’d visit every five or six weeks, usually arriving Saturday afternoon and leaving after supper Sunday, and this was one of those occasions that coincided with my uncles, who lived in Kentucky, making one of their long visits. In order to spend more time with Dad’s brothers, we left after school on Thursday, and I begged to watch the show on my Pappy’s only television set. All the grown-ups tolerated the awful show while my younger brother (then the same age as my son is today) and I were entranced, but the raspberries started with the second commercial break. Each act’s end was accompanied by a caption reading “To be continued… in a moment.” I recall one of my uncles saying “Oh, thank heavens. It’s over. To be continued next week, turn it off!” I think he knew darn well what it meant, but his patience was exhausted. They grumbled and mocked for the rest of the hour. At school on Monday, it wasn’t quite what everybody was talking about – that would come Friday morning – but I couldn’t wait to talk about it and most of my friends were still raving. This was what we wanted to see: superheroes on TV. Captain Marvel tricking Solomon Grundy into running into the distance to see who threw a tire the farthest was probably everybody’s favorite bit. I’m writing this the night before my wife and I are going to watch Captain America: Civil War, and we’re completely confident that we’re going to enjoy the heck out of a film made with competence, love, and enthusiasm by a bunch of really good actors who care about their characters. There was so little of it around back then, and when Captain Marvel or Wonder Woman or Spider-Man did appear on TV, they were almost exclusively the only ones with super powers, and never fought villains from the comics. Green Lantern and Sinestro shot beams at each other from their power rings, and Hawkman tussled with Solomon Grundy. Sure, we know it stinks now, but from the age of five to seven, this was A-OK.
No, it was more than that: it was why television was invented in the first place. This morning, we sat down to watch The Love Bug and had a complete ball. The only problem with this movie, to hear Daniel tell it, is that somehow there’s not enough racing and weird magic Volkswagen business. This is the sort of very silly complaint that only a five year-old can make. If there’s a legitimate complaint at all to be leveled at the first film in the famous and successful Herbie franchise, it’s that it’s got some very dated hippie business, and some very, very dated “inscrutable Chinese” business. Otherwise, it’s a very funny and very solid little film. One thing I really enjoy about revisiting older Disney films is how downright brilliantly they’re cast. 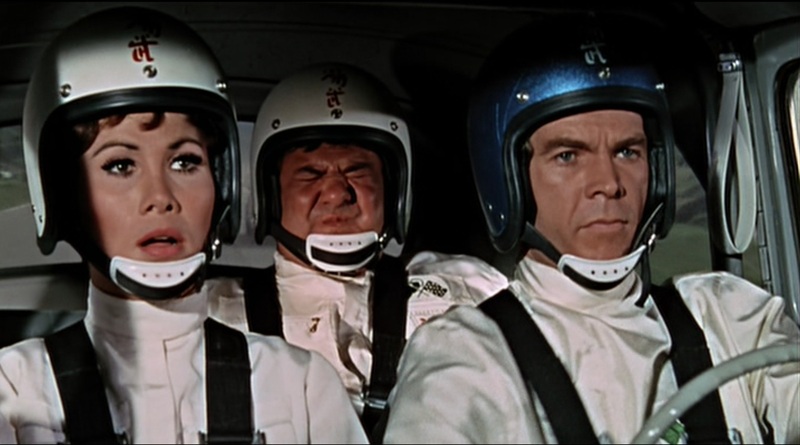 As the heroes: Dean Jones, Buddy Hackett, and Michele Lee. They are fantastic; they make every click and clack of the plot appear completely effortless. As the villain: David Tomlinson, whom we enjoyed a couple of months ago in Bedknobs and Broomsticks, here playing a snob luxury auto salesman, who has a sideline racing a downright beautiful 1962 Apollo. But the real stars of the film are Herbie, and all the unbelievably talented drivers. Awesomely, they get their own screen of credits at the beginning of the movie. Some of the perfectly-timed zips, zigs, and zags in between each other’s cars had me wincing. Much of the close-ups are rear-screen projection of course, but all of the live stunts and what we now call practical effects are still amazing. 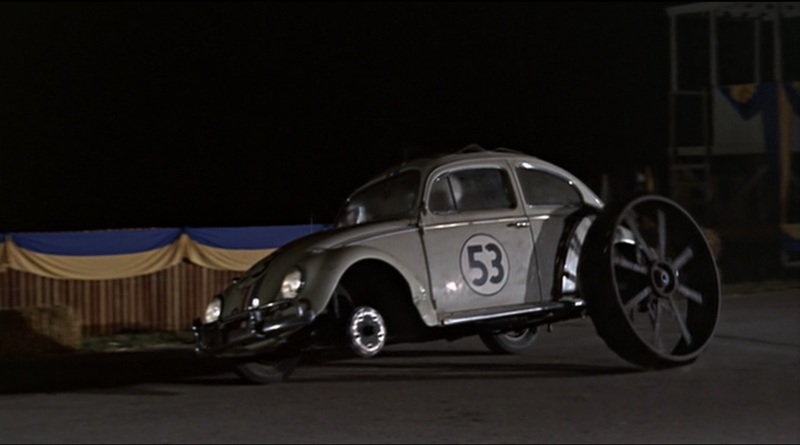 The climax of the film involves Herbie coming in first and third place in the big race. Just imagine how that looked; providing a visual would spoil a remarkable gag and a great special effect sequence. Backing up these leads is another really impressive bunch of supporting players. Joe E. Ross is here, playing a police detective, and he doesn’t say “Ooh! Ooh!” Gary Owens is here, playing a radio announcer, because that’s just perfect. There’s even a guy who’s the racing association president, greeting all the drivers to the big race. “Spot the non-actor,” I said to Marie. Turns out he was Andy Granatelli, the former CEO of the motor oil company STP. You get the feeling the movie’s got a lot more Easter eggs than just that for gearheads and racing fans. It’s actually kind of aggravating to have this really good movie that so many people worked incredibly hard to make – seriously, the cinematography is just downright beautiful throughout, with gorgeous location filming around San Francisco, and simply looks far better than a silly kids’ film needs to look – and when it came time to merchandise the movie through Scholastic Book Services, somebody just hacked that out, but you know, that really is kind of funny. 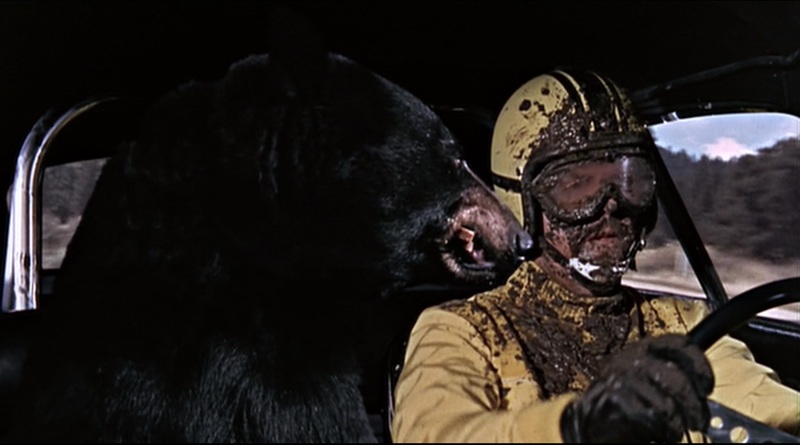 Daniel’s favorite part of the movie, or so he claims, was the final slapstick gag, in which Thorndyke and his former lead henchman, demoted by his business’s new owner to a simple mechanic, spray each other with motor oil. I don’t believe that. I told him that Disney made four of these movies and asked whether he’d like to watch another in a couple of weeks. He said yes, of course.